Essays can often be labelled as boring, but for those students who are able to master the art of diversifying their business essays as well as providing all the required information, essays need no longer be dull for both the student and readers. If you have an essay that is due for submission, here are three ways to diversify your paper to make it catchy. If your business essay and school allows it, a relevant personal story or experience can add both depth and clarity to your writing. A personal experience not only gives the reader something to identify with, but can also break the standard structure of the writing – allowing you to hook the reader and keep them interested until the very end of your paper. Think of your own favourite stories – what makes you want to finish a book or an essay which you have read before? The best stories are those which demonstrate how the main character has overcome an issue or a problem working through the trickiest moments of a situation in order to succeed. For most essay topics, you will be able to find a personal situation which can be applied to business. Researching and sourcing the best references is one of the most important elements of creating a great essay that is catchy to read. The more diverse your reference sources are, the higher chance you have of writing a paper which will be both useful and interesting to the readers. You may be given a suggested reading list as a starting off point, but make sure that you think outside the box and source different kinds of references. Imagine you are the person reading your business essay, would you prefer to read 20 essays that reference the same sources, or to read an essay with a wide range of different references? Books, newspapers, magazines and even films can all be valuable references, which show that you have gone above and beyond the standard reading list. In the same way that a relevant personal story can make an essay far more interesting, business case studies are a great way to break a lengthy essay and make it more captivating. Think carefully about the topic of your essay and research companies which provide good examples of business practising or strategies in real-life situations. Try to find a company or an organisation that is well-known, but research beyond the first big brand name that pops into your head. This way, the reader will be intrigued to find out more about the business and will not be already oversaturated with information on the company. 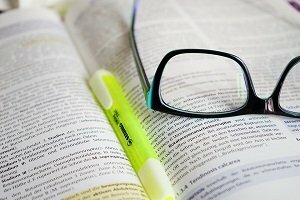 Using these three techniques to diversify your business essay and make it stand out from the crowd, you’ll find you are enjoying each aspect of the process more – from researching to writing the final draft – and you’ll keep your work engaging right up until the very last word.